The Small Universal Shears are the ideal scissors to use in multiple applications. More commonly used in first aid situations, they are highly effective in trimming medical tapes, adhesive dressings and bandages down to size when handling injuries. 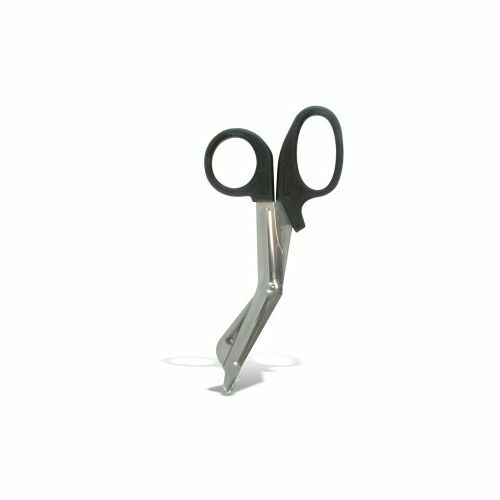 These shears are excellent for quickly trimming plastic and more rigid materials, as well as standard fabrics. Most pre-built first aid kits will stock a standard pair of scissors, however it is always good practice to store a couple of spares. This then provides you with a useful back-up should a previous pair be in use when you need it, or if your original pair of scissors rusts or becomes blunt. Available to bulk buy as a minimum of five small shear per order, each 6cm in length, meaning that they can be easily stored away in tight spaces. They include hand integrated black plastic handles to easily grip for effective use, with serrated edges on the blades to ensure high quality cutting. The Small Universal Shears are usually dispatched via First Class Royal Mail and delivery should be within 1 to 3 working days.